How Can You Apply Perfect Eyeliner? If you’re new to the world of makeup or just are someone who had dreaded the moment you’d have to pick up your liner to create winged liners, well, don’t fret! 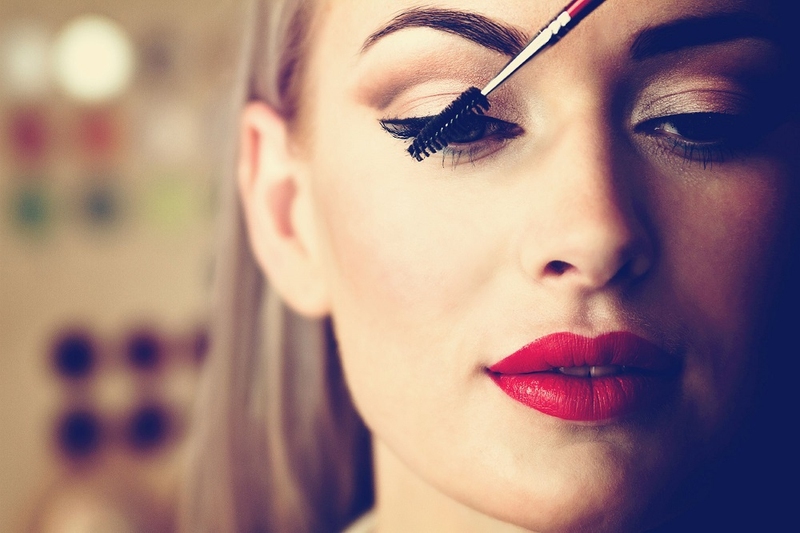 It really isn’t as difficult when it comes to applying eyeliner, as you’ve made it up all to be! This article will help you breakdown how even the clumsiest of person can achieve the perfect eyeliner look without putting in any extra efforts. Before you learn how to apply eyeliner, there are certain dos and don’ts you need to be made aware of. These could pretty much make or break your eyeliner game, so make sure you read them carefully. This is best left to beginners, as using a pencil does not require as steady a hand as using a brush or a liquid liner. Plus, if you ever go wrong, you can always smudge your eyeliner and opt for a smokey eye instead. In order to get the best out of your pencil especially if it’s a dark color, it needs to be used at an optimum temperature. For that, light a candle, lighter or match stick and hold it closely to the tip of your pencil for 5-6 seconds. The pencil will be warm so first run it on your hand to test the temperature. This tip also works perfectly if you’re living in a cold region where the pencil tends to stiffen up a lot. During summers if your pencil is too soft, simply place it in the freezer for 10-15 minutes, and then apply on your eyes! Always begin from the middle. Apply it as close as possible to your eye lashes as you can. Create your wing and apply lashes. For a more detailed instruction, watch the video below. Do keep in mind that when it comes to how to apply eyeliner, liquid liners are best left for those who have at least a little experience in applying liners. If it’s your first time, go for a pencil. If you have a shaky hand or are simply new at creating liners, then have you considered using surgical tapes to act as guidelines? To know more, watch the video below. If surgical tape is not available, then use ordinary cello tape. Just make sure you put it on your wrist and take it off a couple of times before actually applying it near your eyes – the glue is very strong and might not only end up ruining your makeup, but also giving you premature wrinkles as well. Tightlining is applying your liner to the insides of your upper and sometimes lower eye lids. This technique can be used by most liner types, but the pencil liners are the easiest to use and the least messy among all other types. This will help make your eyes look bigger and your lashes look fuller. Use shades of brown if you’re going for a more subtle or casual look when working on applying eyeliner! First, always opt for gel liners because they hold the best on oily skin. If you’re using a pencil or a gel liner, make sure you top it off with a coat of black eyeshadow. Why? Because it will cling to your liner, absorbing any liquid or excess oily on your skin’s surface, thus increasing its longevity on your eyelids. Knowing the basics about applying eyeliner isn’t good enough, because a small wing would be too casual for a ball, while a dramatic winged eyeliner would be way too much for an office look. So, what should you do? Tightlining is important, but make sure you do it with a lighter color. Black can make your eyes stand out, especially if you have a fair or pale complexion. Apply the liner only on your upper eyelid. Pencil liners are the best for casual looks because they do not give as defined a look as gel or liquid liners. If you’re a newbie, make small dots all over your upper eyelid in the place where you would want your liner. Then start in the middle and connect the dots. If you make any mistakes, use a Q-tip to rub it off. If you can, then cover it up with a concealer. Feel free to line your lower, upper, outer and inside of your lids. Depending on the look you’re going for, you can opt for a thick or a sleek eyeliner look. If you have smaller lids, opt for thinner lines and if you have bigger lids, go for thicker lines. If you’re using a pencil, use the dotted method on both your upper and lower lids, and join them when you’re done dotting. If you’re using a gel or a liquid liner, start from the middle, bring it till the end of your lid, and then cover the first half of your eyelids. The safest look is a winged liner, which is what you should be aiming at. Tightline! And don’t forget to use tape to get the perfect winged liner! It’s best to use a pencil for this look as gel and liquid liners do not usually smudge. Smudge by using a clean brush. Avoid smudging with a finger as it can get messy very quickly. You can enhance your look by applying dark brown or black eyeshadow on your lids. Don’t worry about going wrong or being messy – it’s part of the smokey look, so everything’s good. Remember to have the darkest color on the outermost corner of your eye, the medium color on the middle of your lid, and the lightest color, usually the highlight, on the innermost corner of your eye. Here is the last up on how to apply eyeliner. If you’re feeling experimental, then how about trying unique eyeliner looks? You can achieve some looks by simply thickening your liner, some by extending your liner and some by creating wings you’d never thought could exist! Watch this video to know about 10 different ways in which you can achieve eyeliner looks.